Duke has lost four games this season and each time fans have stormed the court. Duke coach Mike Krzxybbkdfb3ski is getting a little tired of the lack of security, and, seriously, who can blame him? Last January, Roy Williams tried to remove UNC from the court at Florida State for the players’ safety. 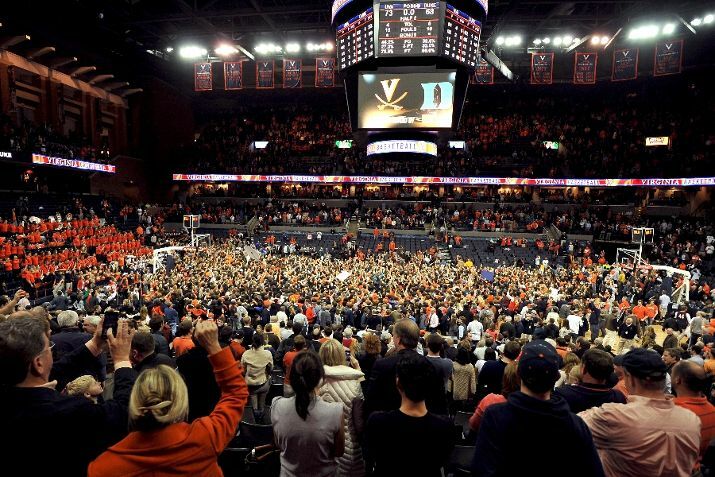 "When we've lost in the last 20 years, everybody rushes the court," Krzyzewski said, as quoted by The Associated Press, insisting he was raising a concern but not trying to take away from Virginia's victory. "Whatever you're doing, you need to get the team off first. Celebrate, have fun, obviously you won. 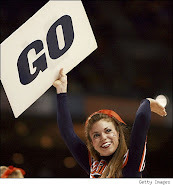 That's cool, but just get our team off the court and our coaching staff before students come on." 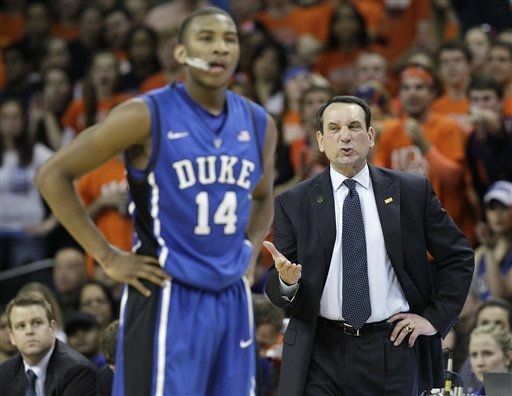 "Look, do you know how close you are to -- just put yourself in the position of one of our players or coaches," Krzyzewski said, according to the Raleigh News & Observer. "I'm not saying any fan did this, but the potential is there all the time for a fan to just go up to you and say, 'Coach you're a [expletive],' or push you or hit you. And what do you do? What if you did something? That would be the story. We deserve that type of protection. "I'm always concerned about stuff like that, especially at this time of the year. What if that happened and we get a kid suspended? That becomes the national story. It's not all fun and games when people are rushing the court, especially for the team that lost. Again, congratulations to them, and they should have fun and burn benches and do all that stuff. I'm all for that. They have a great school, great kids, but get us off the court. That's the bottom line."